Here is an essay on flying flags which was inspired by my moving into a 1911 pioneer general store. I decided to start an annual schedule and thus begin my own tradition of marking time with colours. really delightful and decided to continue the tradition. relevance to both me and the location. Stars and Stripes or the Fleur-de-lis with some relevance. a pleasant bit of pageantry at all times. year. "Jul", in Danish, means both Christmas and wheel. me this flag represents the European side of our heritage. people who have crossed it to get here. fitting to raise the provincial flag on Chinese New Year. west and diverse immigrant groups. England and India so is well rooted in Canada's past. outrageous symbolism and the refreshing antique look. flag which I have chosen. among others, the Bombay marine. cross was replaced with the Royal Union device. English shipping in particular, and freedom in general. store. Especially so on All Fools' Day. Parliament Buildings, and individuals throughout history. two flags with official status. about 70 percent of the province's population was British. the original proprietor, would have liked it too. be much insulted by the maple leaf flag of today. Coalmont's heyday the leaves would not have been red. historically correct to fly earlier versions of flags. that someone would have still been using it. fly over the Canadian Parliament buildings was unofficial. kinds of colours which I grew up associating with Canada. not the only one who has associated them with Canada. United Kingdom and only by convention has served as such. being darker which is not valid for our Provincial flag. urge others to consider this too. simply does not honour our country's colour heritage. look like they had other priorities. real world of the actual Canadian image. best, however, is when we each show our own true colours. The British Columbia Provincial flag. The earlier Honorable East India Company Flag. The 1801 Royal Union Flag. The 1921 Canadian official Red Ensign. 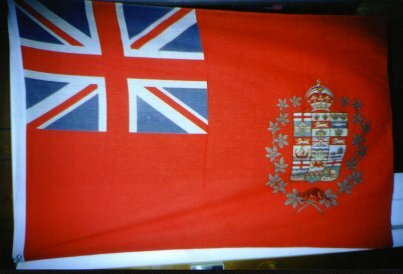 The original unofficial Canadian Red Ensign from 1868. An interesting Ensign from 1896. Note the demi-sun over the Union Flag. The last official Canadian Ensign of 1957. The harp was changed to the Irish harp at the bequest of the Queen. Also, the maple leaves were changed to red. That is correct, as the heraldic specification calls for "natural" colours. However the change to a single border around the lion is an error. An example of a 9 province ensign. The 2002 Govenor General's Flag. Note that the lion's tongue, and particularly the traditional claws, have been removed. The Canadian Red Ensigh from WW1. The most Canadian flag. 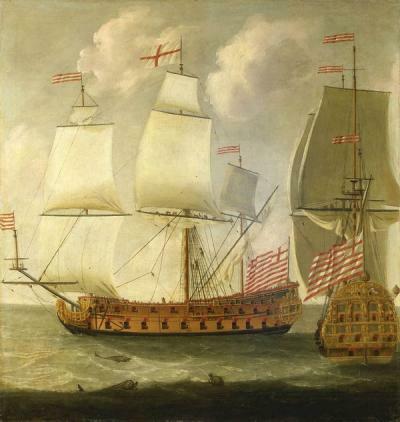 Honorable East India Company ships in 1685. St. George's Cross, the flag of England. 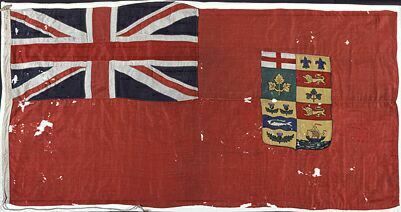 Canada's first official flag from 1870. This was for naval use only. An early 16th Century shipping flag. These came in different colours and, unless used as a jack, usually had the relevant national flag in the canton. The coats of arms of Canada and the Provinces - a palate of real Canadian colours.